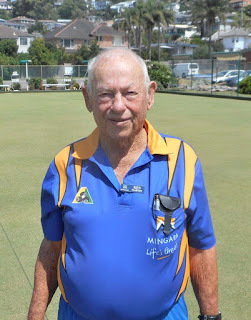 “A Great Day,” “A Fun Day,” “Bowls should be like this every day” were just a few of the lighthearted comments made by those mature age bowlers that attended the Bowls Central Coast Veteran & Super Vets Day held at three different venues across the Coast on Monday 11th March 2019. Everglades played host to 54 bowlers from southern and peninsula based clubs with Ourimbah’s John Tatham taking out the honour of being the oldest in attendance at 91 ¼ years. Mingara’s Ken Martin at 91 was the most senior of the 46 bowlers in attendance at Terrigal BC. 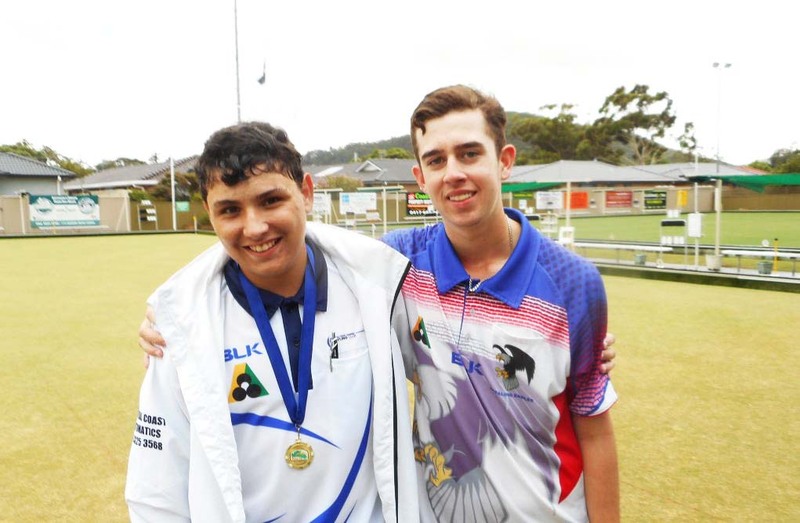 The biggest attendance of 60 bowlers was hosted by Toukley District BC on behalf of the northern clubs. 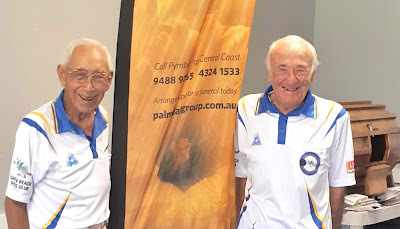 Toukley District’s Percival Trapman (91) and Bert Tilley (92) were the oldest attendees. It was a free day for all those that attended including a light luncheon, a friendly game of bowls and lucky rink prizes. 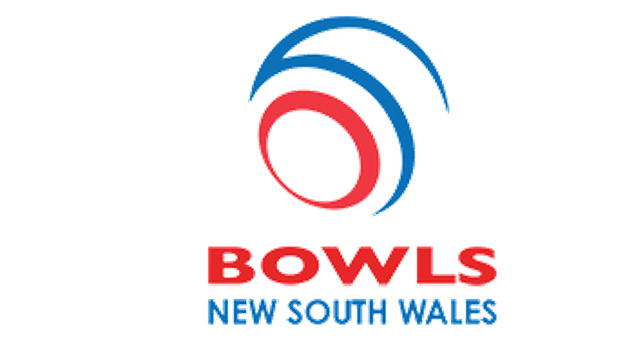 Vets and Super Vets badges were presented on behalf of Bowls NSW to those that had not previously received their badge. 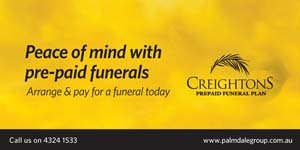 The day was sponsored by Creighton Funeral Service in conjunction with the host Clubs and a special vote of thanks was extended to Creightons for their ongoing support of lawn bowls on the Central Coast. 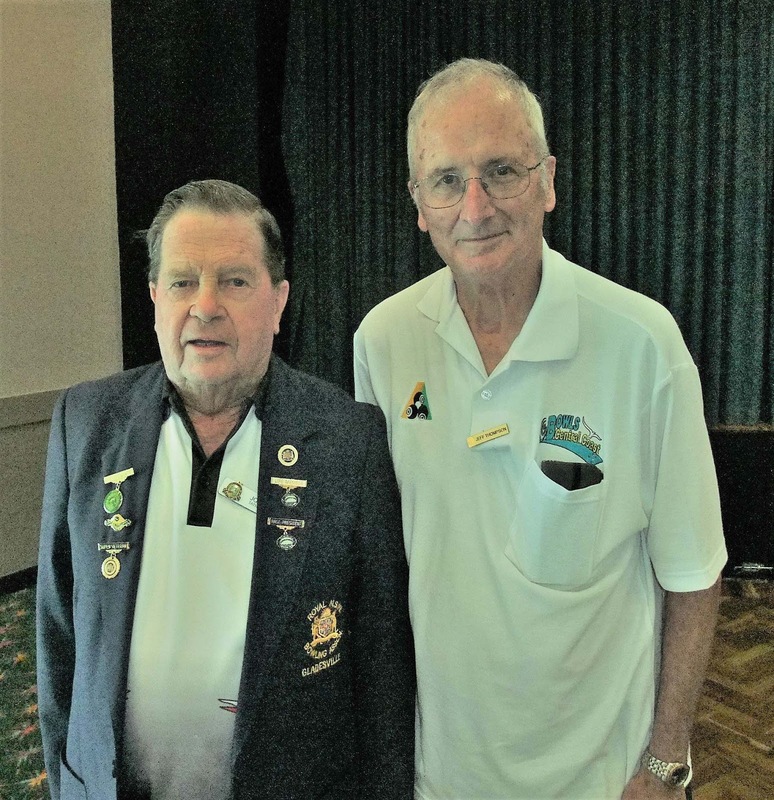 on the 24th February we had a visitation to Davistown RSL Bowling club with 36 of our bowlers from Ettalong Everglades and Umina plus 36 from Davistown we had a great day if friendship and fun, lunch was fish or lasgna with chips and salad. Davistown beat us by 1 shot so a challenge was put out for a rematch. 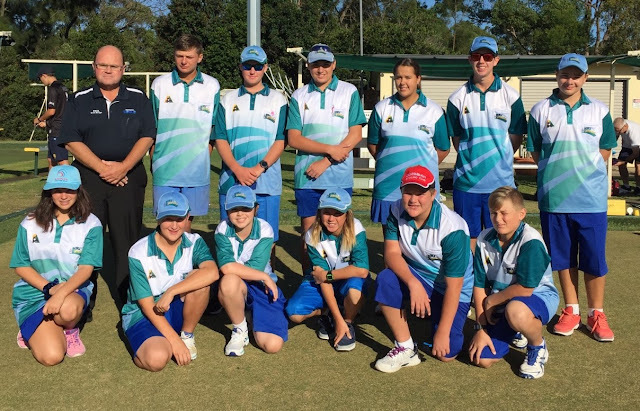 Our Under 18 Representative Side of 12 bowlers has won the Metropolitan Shield today 3rd March 2019. 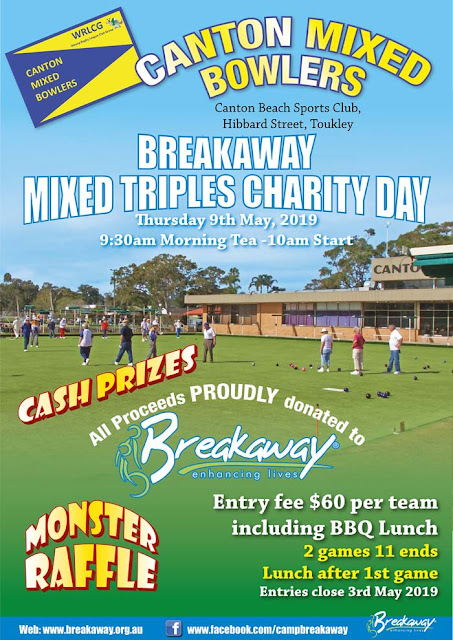 This is the first time that a BCC Under 18 Side has participated in this event. 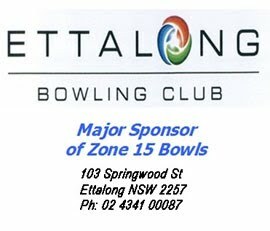 Hosted this year by Zone 10, the Metropolitan Shield was held at Northmead Sports Club where our side competed against Zones 5 (Greater Western Sydney), Zone 10 (Sydney North West), Zone 12 (Sydney South West), Zone 13 (Central & Southern Sydney) and Zone 16 (Illawarra). Our Side opened with a 3-0 win against Zone 5. Then they had an outstanding victory against Zone 12 winning 2 rinks and drawing another, after they lost 11 shots on the first 3 ends. A remarkable comeback. The third game against Zone 13 resulted in a 2 win rinks and one drawn rink. Chelsea McKay's team played a four with three NSW rep players but still recorded an excellent win. At lunch BCC was leading the event on 16 points but after lunch had to play the two second placed sides of Zone 16 and Zone 10 who were both on 10 points. Halfway through the 4th game it was tight on all rinks but the side knuckled down and all rinks recorded a win against the 2nd place side. It was all over, the fat lady was singing. Our side could not be beaten for the title. It's not worth talking about the last round against Zone 10. The players were celebrating and lost badly, except for the team of Olivia, Jackson, Brandon and Chelsea who maintained their undefeated record.. In fact the general consensus was that the stars of the day were our two girls, Chelsea and her lead Olivia. Although everyone played well in particular the skips Josh and Bailey who played some masterful conversions. The team was responsible for the first U18 Side win this Zone has had since Aron Sherriff was a junior playing for us. Congratulations to the players, their parents and grandparents who drive them to training and the U18 events, and the Coaches, Paul Wesche assisted by John Roberts. Without Paul, I doubt that Zone 15 would have had enough U18 players for a side in the Metropolitan Shield, yet alone winning it. Our side was well supported on the day by around 30 people including ex BCC Juniors Zac Hanley and James Burton who were there to support their brothers, It was a great team effort. P.S. 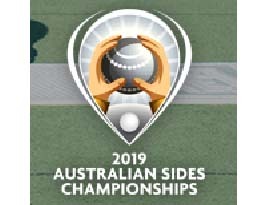 In the top photo, don't look too closely at the shield, Zone 16 forgot to bring the shield so we borrowed a shield from the NBC Sports BC Trophy Cabinet. 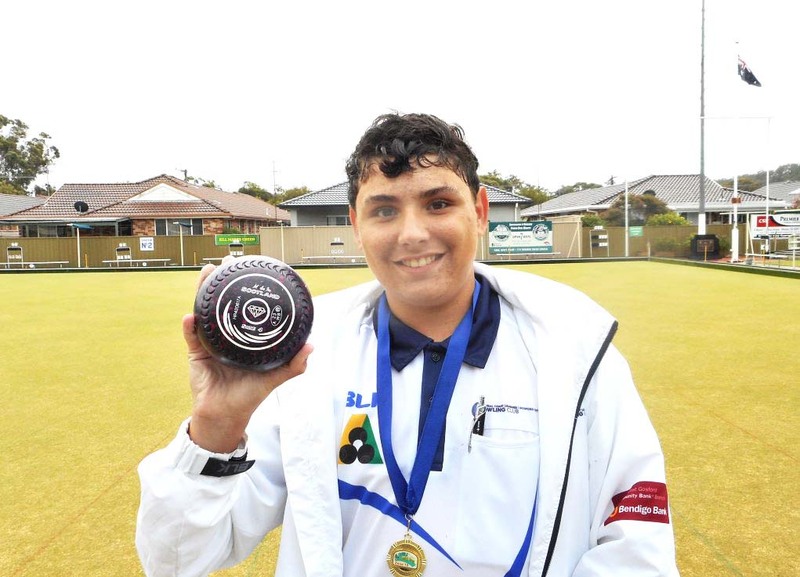 Gosford City’s Brandon Willmette will never forget the day he defeated the highly fancied Bailey Meti 25-17 from Ettalong in the Under 18 Blue Ribbon Singles title played at Ettalong Memorial BC. Willmette played outstanding draw bowls throughout the day to win four rounds including strong wins over Josh McDonnell and Chelsea McKay. 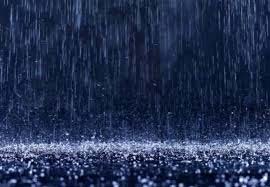 Much of the final was played in light rain which progressively got heavier and forced a twenty minute stoppage of play with Willmette leading 19-11. Both boys are to be congratulated on such a high calibre game and their commitment to soldier on in difficult weather conditions was to their credit.